His research interests cover a wide spectrum of buried utility service infrastructures, utility service provision to cities more generally, sustainability and resilience, and the future of cities, though he will always revert to a multitude of research interests in his core discipline of soils and geotechnical engineering when he gets a chance. I would count myself as a practical electronic and electrical engineer, with most of my career being spent designing underwater sensors. I now spent 80% of my time working on Mapping the Underworld, Assessing the Underworld and Gravity Gradients. The remaining 20% is spent designing sonar systems. I have a very heavy teaching load – which I love. Please feel free to ask me about electronic sensors, signal processing and navigation systems. I have two daughters (22 and 24) who have unfortunately followed in my footsteps. I enjoy leading groups of students on outdoor activities and can generally be found ‘ambling between teashops’. I also build and fly large-scale kites. My work is my main hobby! David is a Co-Investigator of Assessing the Underworld, leading Work Package Seven, Tuning the Device to the Ground and Targets. David is a reader in Geotechnical Engineering at the University of Birmingham, with research interests that include Geotechnical aspects of tunnelling, trenchless technology, soil/structure interaction and pipelines (including understanding the development of leaks from pipelines, their detection/location and making pipelines ‘smarter’ using micro-sensors). 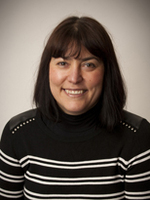 Nicole is a Co-Investigator of Assessing the Underworld, leading Work Package Eight, Proving Trials and Specification of a National Mapping the Underworld Test Facility. 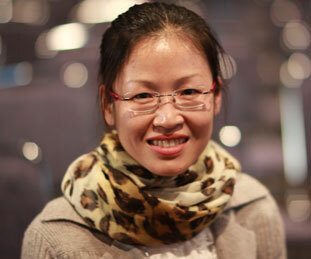 Nicole is a Senior Lecturer in the School of Civil Engineering at the University of Birmingham. Her interests include the development of instrumentation for the natural and man-made environment with focus on coastal engineering, tunnel monitoring and location of underground infrastructure and archaeology. She is leading the development of a national utility standard for the UK and is an international member of the ASCE utility standards committee as well as the Transportation Research Board utility committee. Steve is a Co-Investigator of Assessing the Underworld, leading Work Package One, Creation of a Multi-Sensor Array, Deployment Strategies and Signal Processing. 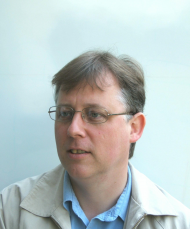 Steve is based at the University of Bath and is a Senior Lecturer in the Department of Electronic and Electrical Engineering. 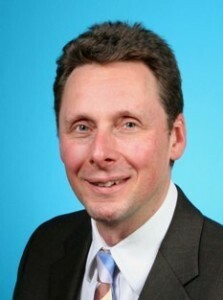 Current research interests include signal propagation at microwave and millimetre wave frequencies within buildings and near human bodies, along with the assessment of diversity techniques. Tony is a Co-Investigator of Assessing the Underworld, leading Work Package Two, Fusion of Sensor Data with Buried Asset Records. Tony is a Professor of Automated Reasoning at the University of Leeds, and is currently the Director of the Institute for Artificial Intelligence and Biological Systems. His research interests range from theoretical work on spatial calculi and spatial ontologies, to cognitive vision, modelling spatial information in the hippocampus, and integrating utility data recording the location of underground assets. Prof Stephanie Glendinning is Professor of Civil Engineering in the School of Civil Engineering and Geosciences at Newcastle University. Her core has research interests are in geotechnical engineering (engineering with and within the ground) which is founded on a long history of engagement with industry and academics working in this field. Stephanie is involved in several interdisciplinary projects associated with solving problems of integrated sustainable and resilient infrastructure. 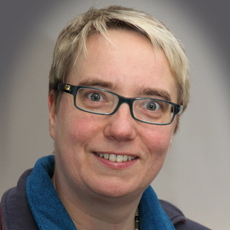 She is leading a large consortium of academics and engineers who investigating the interactions between engineered soil, vegetation and weather on transport infrastructure with the aim of enabling more reliable performance prediction and targeted resource allocation. She is involved in a team of engineers and economists developing new business models for funding infrastructure and a team of engineers, designers and social scientist exploring the power of shocks to transform infrastructure. Stephanie is also leading an project which is developing the research, teaching and engagement strategy for Newcastle University’s new building on the city’s Science Central development. Stephanie is research Director of the spin-out company Electrokinetics Ltd and Editor of the interdisciplinary Journal ‘Engineering Sustainability’. There is not much room for anything other than all this…..but when I do have some time I enjoy arts and crafts – drawing, printing and occasionally knitting and sewing. I am a lecturer in the Department of Automatic Control and Systems Engineering, University of Sheffield. My original degree was in control engineering (2001) and my PhD focused on nonlinear system identification (2005). I subsequently moved into the field of neurorobotics, working at the Centre for Signal Processing in Neuroimaging and Systems Neuroscience at the University of Sheffield (2005-2010). I now pursue research themes in robotics, system identification and control, with applications ranging from the Parkinsonian digital patient, to robotic inspection and monitoring of underground infrastructure. I enjoy walking anywhere there is a good view – such as the lake district, north Wales and the Isle of Skye. I also like any sport that terrifies me, such as skiing, bouldering or crashing down a rocky trail on a mountain bike. These days, I do a lot less extreme activities and a lot more walking sedately through the local parks in Sheffield, with my baby daughter. As a Water Engineer the majority of my research interests are in ensuring a safe clean supply of water. My primary interest is in hydraulic transients in distribution systems; the very quick oscillations in pressure that cause our domestic plumbing pipes to bang and on a large-scale cause significant damage to pipes. In Assessing the Underworld I am involved in the development of sensing techniques to investigate the condition of pipes. We will be doing this from a robotic platform that travels around the pipe network, so localising and mapping is also a key research task. Various hobbies inluding; running, triathlons, astronomy, woodwork. 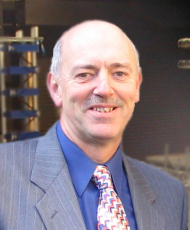 Rob Dwyer-Joyce is Professor of Lubrication Engineering and Head of the Department of Mechanical Engineering at the University of Sheffield. 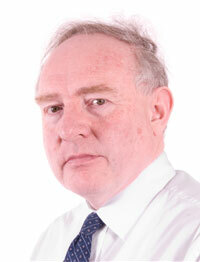 He has a first degree in Mechanical Engineering from Imperial College and a PhD in Tribology. After graduating he worked for British Gas in the Petroleum Production Division and offshore on the Rough gas field. 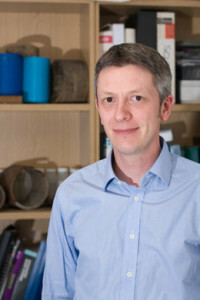 Rob joined the Department in 1994; he manages the Leonardo Centre for Tribology that specialises in industrial wear and lubrication problems, and the development of ultrasonic metrology tools. Rob teaches fluid mechanics and tribology of machine elements to undergraduate and postgraduate students. 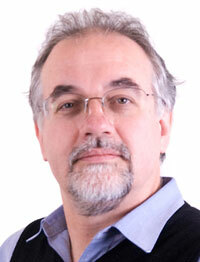 Paul is a Co-Investigator of Assessing the Underworld, leading Work Package Six, Magnetic Field Technologies. Paul the Reader in Electrical Power Engineering in the School of Electronics and Computer Science at the University of Southampton, where he is also the manager of the Tony Davies High Voltage Laboratory. 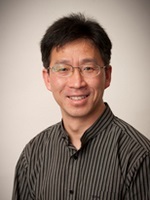 His research interests are within the generic areas of applied signal processing and control. Within the high voltage engineering this includes condition monitoring of HV cables and plant, surface charge measurement, HV insulation/dielectric materials and applied signal processing. In the area of automation he is particularly interested in the practical application of repetitive control and iterative learning control algorithms. 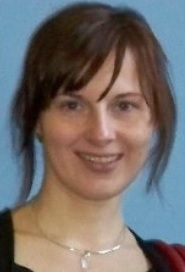 Jen is a Co-Investigator on Assessing the Underworld, leading work stream 2, Vibro-acoustics, with Emiliano Rustighi. 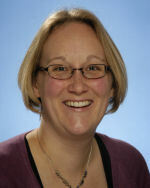 Based at the University of Southampton in the Institute of Sound and Vibration Research, Jen is a Principal Research Fellow undertaking research primarily on pipe vibration relating to both leak detection and pipe detection and location. She has also worked in such diverse fields as tyre vibration, biomedical imaging and the vibration characteristics of chocolate. When she is not working she spends time with her five-year-old son, Oliver, building lego and going away in their campervan. 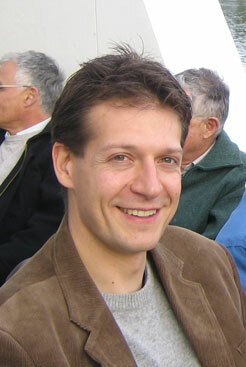 Emiliano Rustighi is Co-Investigator of Assessing the Underworld, leading Work Stream 2, Vibro-Acoustics. 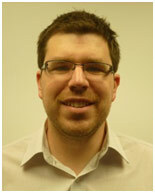 Emiliano is a Lecturer at the University of Southampton in the Institute of Sound and Vibration Research. 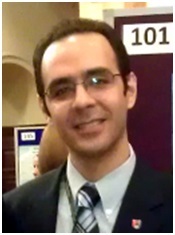 Emiliano has a wide-range of interests in vibration and systems dynamics including smart structures, active and passive control of sound and vibration, rotor dynamics, wave propagation, detection of buried objects and dynamics of biological systems. 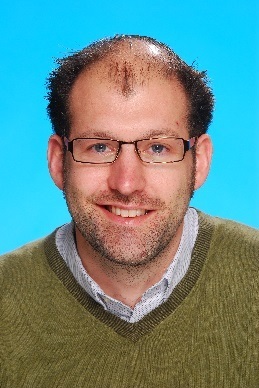 He is also Assistant Editor of the Journal of Sound and Vibration and programme coordinator of the MSc Sound and Vibration Studies and Conference Chair of RASD2016 12th International Conference on Recent Advances in Structural Dynamics. 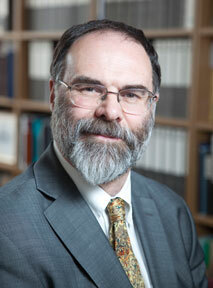 Steve is a Co-Investigator of Assessing the Underworld, leading Work Package Six, Magnetic Field Technologies. 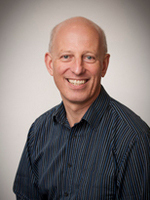 Steve is based at the University of Southampton in the School of Electronics and Computer Science. I am an environmental scientist with a background in Earth Science and Soil Science. I completed my PhD within the Mapping The Underworld project looking at the influence of weather on the electromagnetic properties of soil using the Time Domain Reflectometry technique. My recent research interests are in soil and environmental monitoring and I am particularly interested in electromagnetic techniques that can be used to measure soil properties, both in the laboratory and in the field. I love nature and being outdoors. I particularly enjoy mountain hiking, cycling and travelling in general. I also practice ashtanga yoga. I like music and I am learning to play the bass guitar. I consider myself a geoenvironmental scientist/engineer interested in science that improves the quality of life. My educational background is Environmental Engineering including specialization in Earth Protection and Waste Utilisation as well as a research on mechanical and physical properties of soil. 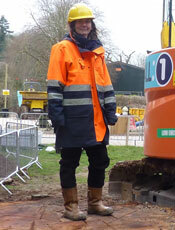 My work experience includes six years of environmental consultancy focused on contaminated land and water. Having experienced various intrusive ground investigations and their drawbacks, I became interested in incorporation of more sustainable methods of ground data collection. This has led me to the ATU project where I enthusiastically research the relationships between geotechnical and geophysical properties of the ground. I enjoy meeting and learning about different cultures and civilizations. Love hiking and doing yoga but recently had to substitute both for a passion for running after my two daughters. Whenever I find some free time, which is scarce, I also like watching movies, reading books and studying languages. 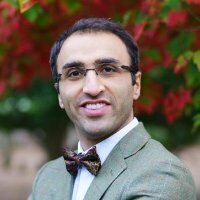 I am a Research Fellow in the School of Electronic, Electrical and Computer Engineering at the University of Birmingham. My background is in condensed matter physics, nano-electronic and nano-devices; although I also have interest in wider field of emerging device technologies (EDT) and electromagnetic. All in all I would call myself a generalist with variety of skills. I am currently involved in Assessing the Underworld project in various aspects, from field works to data analysis, programming and circuit design within the non-conduct electrical resistivity techniques framework. I love music, drawing, cooking and sport! I enjoy doing artistic gymnastics, ice hockey, ice-skating, rollerblading and swimming when I find the time. I also play piano and draw anime and manga. My favourite activity is to design and make intelligent and automated stuff such as small home appliances. I consider myself a geoenvironmental engineer, with a background in geology and environmental technology. My core passion encompasses contaminated land management, resilience and integrated environmental management. This was further buttressed by a doctorate in geotechnical engineering, assessing contaminant containment. My research interests include resilience, integration, ground characterisation, environmental management and critical infrastructure. I am newly married (no kids yet) so it’s all new terrain in the short term. I enjoy walks, cooking, football, and indulge in anime & manga when I find the time. As a personal vision I strive to conceptualise solutions for managing pollution & environmental damage in the Niger Delta, Nigeria. My research investigates how to develop an understanding of how roads deteriorate, how this is determined in the field, particularly via non-destructive/non-intrusive methods, how this is modelled currently and how this can be incorporated into the overall ATU aim. A member of the Birmingham Centre for Resilience Research and Education, I spend 100% of my time on Assessing the Underworld as senior coordinating research fellow, working on impact delivery, work stream integration, streetworks decision support and trenchless technologies. 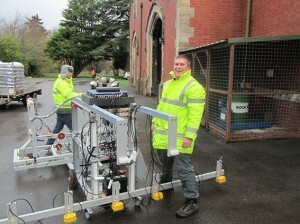 Miles is a Co-Investigator of Assessing the Underworld, leading Work Package Three, GPR Advancement. 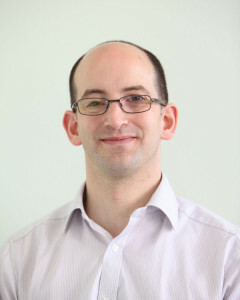 Based in the Department of Electronic and Electrical Engineering at the University of Bath, Miles is Senior Lecturer with the Power and Energy Systems Group. 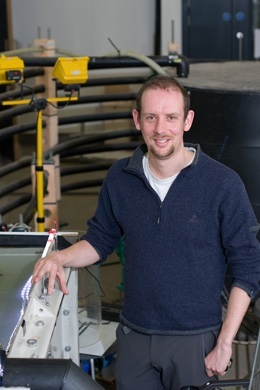 His research interests include the Protection and Control of Electrical Power Systems, including embedded generation into networks and the location of Buried Utilities using Ground Penetrating Radar. I am an engineering geophysicist who prior to joining the BGS worked in engineering consultancy, undertaking a wide range of near-surface geophysical surveying. 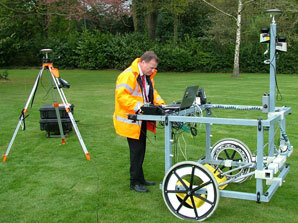 Part of my role included the collection and interpretation of service location data, predominantly using Ground Penetrating Radar (GPR) and Electromagnetic Location (EML) techniques. My present research looks at the interface between the geophysical and geotechnical properties of materials, such that parameters like material stiffness, moisture content or porosity may be determined non-invasively via geophysical proxies at a site-level. I enjoy watching and playing sport in general, but particularly enjoy watching rugby with my daughter and playing cricket for the BGS. Other hobbies include travelling and drinking real ale. I completed my PhD in Computer Vision with a topic about reconstructing a 3D digital model of a scene from a collection of 2D images taken from this scene. I have a solid background in Mathematics and Statistics with three degrees related to mathematics. 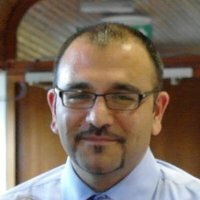 My research interests include Data Integration, Image Processing, Bayesian Inference, Stereoscopic Vision, 3D Modelling and Deterministic and Probabilistic Techniques for Mathematics Modelling. I like sports such as running, swimming, cycling, badminton and mountain hiking. I attend park run regularly and a member of a badminton club. I also enjoy music and singing. I am a Geotechnical Engineer with a background in Geology. I have just completed my PhD in the numerical modelling of desiccation cracking in engineered fill within the context of climate change impacts on infrastructure slopes. My current work is split between the iSMART and ATU projects where I am involved in the field and laboratory study of atmosphere-soil interactions with an interest in the deterioration of soil properties due to hydraulic cycling. I am a keen DIY-er and am in the process of renovating my first house. I have also played the drums for 20 years and play a variety of music, predominantly in jazz-soul functions bands. I was studying and working in Mechanical Engineering, looking at contacting problems using ultrasound technique in the Leonardo Tribology Centre at the University of Sheffield. I took the post as a research assistant on an EPSRC project of Assessing the Underworld since December 2013. I am currently working on ultrasonic sensors which will be transported by a novel robot platform for pipelines inspecting, assessing and mapping. Before my daughter was born, I spent some time on hiking, reading and sightseeing in this country. Nowadays, all my spare time has been spent on accompanying my little daughter who is just over one-year. Raising a kid becomes another project, time consuming but exciting! I am a research fellow with strong modelling skills. 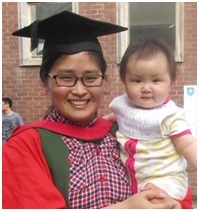 I completed my PhD funded by the EPSRC Project “Detection of water leaks & location of buried plastic water pipes”. I have subsequently worked on a number of EPSRC projects related to structural acoustics and vibration. Much of my current research on the “Assessing the Underworld” involves modelling wave propagation in buried pipe systems and developing the pipe excitation and ground excitation methods working with vibroacoustic team. I have lovely twin boys (identical, 9 years old), which is the most previous gift in life. I love nature and enjoy practising yoga. I also like reading and being quite most of the time. 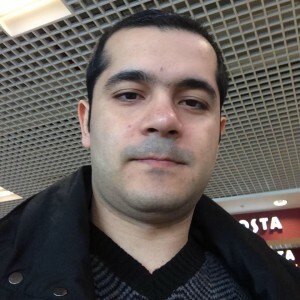 Ayad is a Research Fellow working in (TDHVL, EEE) at the University of Southampton and also a technical consultant. 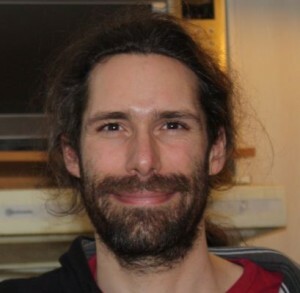 He is working on Assessing the Underworld (ATU) project, where he is investigating and developing sensors for Passive Electromagnetic Techniques as part of (WS3a). The sensors will be used for the detection of partial discharge (PD) in underground power cables. He has broad knowledge and experience in various applications within electrical engineering and had worked on various industrial projects. His current work combines the fields of electromagnetic applications, high voltage, condition monitoring, PD and signal processing. I am a Civil Engineer with skills in non-destructive methods for soils and pavement dynamic characterization and performance assessment. I worked for one year for a survey company working on the most important infrastructures of northern Italy. My recent research focus on road and soil characterization from Surface Measurements: the aim of this project is to develop methods both for predicting and measuring relevant road/soil properties in order to assess their condition. I love sports, particularly football and swimming. I am a football referee since 2003. I like hard rock music, and I enjoy playing guitar in the spare time. Aryan is a civil engineer graduated with the degree of Master of Engineering (MEng) in Civil Engineering from the University of Birmingham in 2012. 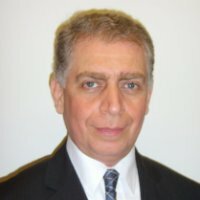 He then started working as a graduate engineer in a geotechnical engineering consultancy for 2 years in Iran where he was involved in designing, testing and quality control of deep foundations for industrial projects. 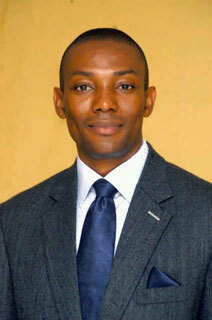 He was also working as a part-time lecturer in construction management modules during that time in his home country. 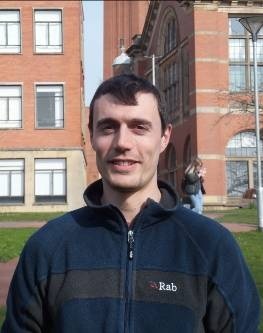 Due to his passion for Geotechnical Engineering research and also his concerns for environmental and social aspects of civil engineering works towards sustainable development of cities, he returned to the University of Birmingham in 2014 to read for a Doctoral Research Degree in Civil Engineering focusing on Sustainability Assessment of Utility Streetworks, as part of the EPSRC funded Assessing the Underworld (ATU) research project. He is now working as a member of the Sustainability work stream within the ATU team, aiming to develop a methodology to assess the true total cost of streetworks including road, geotechnical and subsurface utility infrastructures. This would be in the form of a Sustainability (i.e. Economic, Social and Environmental) Costing Model. He is also a Teaching Associate in the School of Civil Engineering where he works alongside the teaching members of staff for both undergraduate and postgraduate taught courses, in particular Geotechnical Engineering and Construction Management. Mark is the Project Manager for the Assessing the Underworld project, and the first point of contact for all queries and general interest. Feel free to contact him for more information about the project. Within this context, the needs of cities and their citizens in the far future constitute the brief for today’s visionary engineering, while to deliver on this brief requires engineers to work seamlessly and effectively across multiple disciplines. 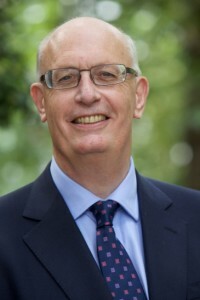 This has been the primary achievement of an ambitious portfolio of multi-disciplinary, multi-university research led by the University of Birmingham addressing urban sustainability1, resilience2 and liveability3, both now and in the far future2,3,4, and how engineers might respond to these challenges5,6. 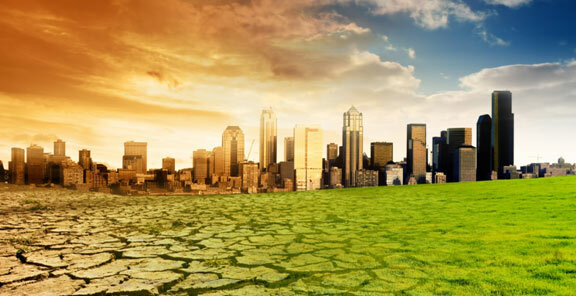 These programmes address engineering challenges such as urban metabolism, infrastructure systems and their interdependencies7, and use of underground space in cities, and yet they are necessarily married to citizen wellbeing, planetary wellbeing and ecosystem service provision. We are looking for doctoral students who are keen to engage with this research portfolio. Although based in the School of Civil Engineering, the core disciplinary base is less important than a willingness to work across disciplines on relevant aspects of how we should engineer future infrastructure systems. Three funded studentships, covering UK/EU fees and an allowance towards living costs, are available for a 2015 start. Please contact Professor Chris Rogers (c.d.f.rogers@bham.ac.uk), ideally enclosing a brief CV and an outline of your area of interest.